Own for the cost of renting! Affordable home on 2 acres in Southern Nelson County. This one level home features 3 bedrooms, a full and half bath, a spacious eat-in kitchen. The house is sited to take advantage of the acreage, with a covered front porch overlooking the back yard. This home has central heat and air and conveys with a suite of appliances. Could use a bit of TLC but ready to move in now. 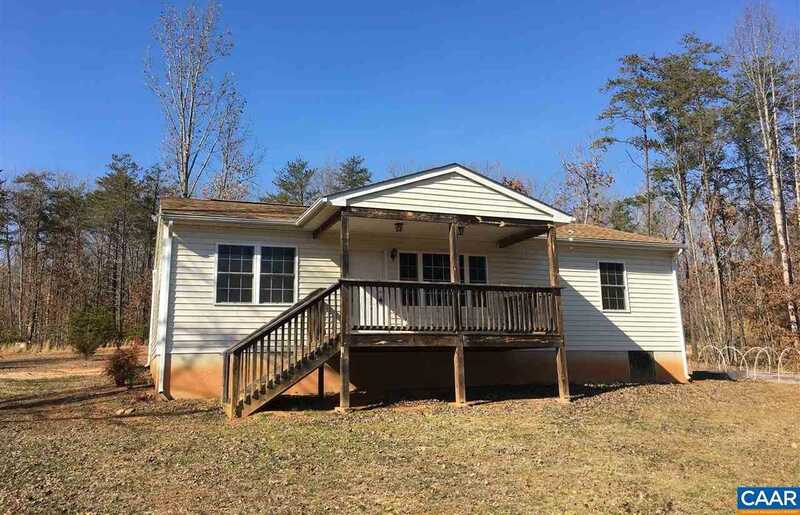 Please, send me more information on this property: MLS# 585482 – $119,000 – 60 Jefferson Ln, Arrington, VA 22922.